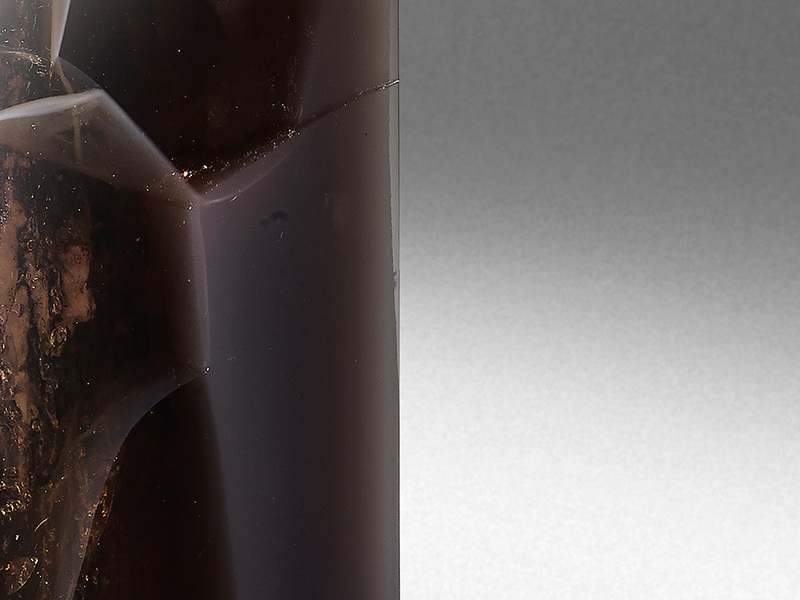 Stone Fossil Obsidian is an imaginary stone. Inspired by the semi-precious stones. 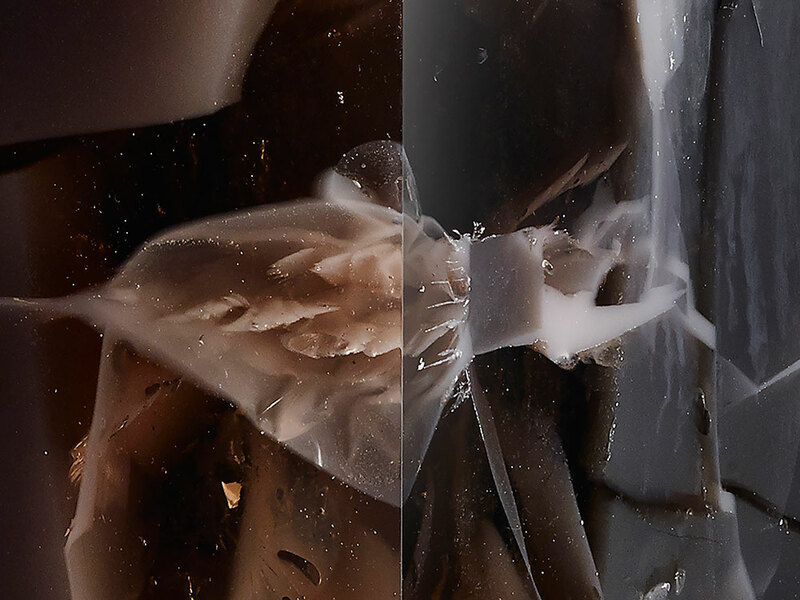 Ideal continuation of past projects related to the primitivism and the eras, in which Nucleo pays tribute to the human capacity to evolve and create. developed a long tradition of craftsmanship, which even now is very important for many cultures. 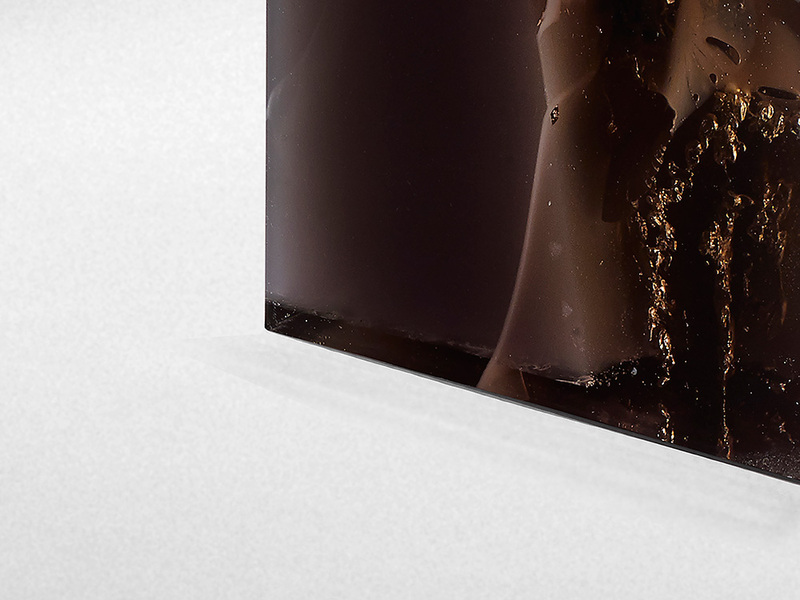 Nucleo, in challenging with nature, creates impossible fake gems, surpassing dimensions, transparencies and colors available in nature. Copying natural processes to create the perception of a real stone. 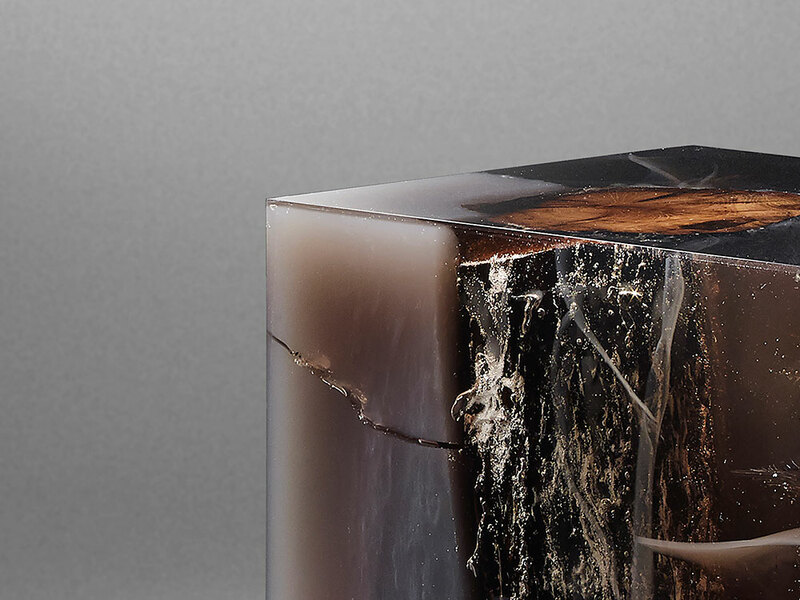 Each stone fossil is a single block made of epoxy resin, pigment and an up-cycled log. 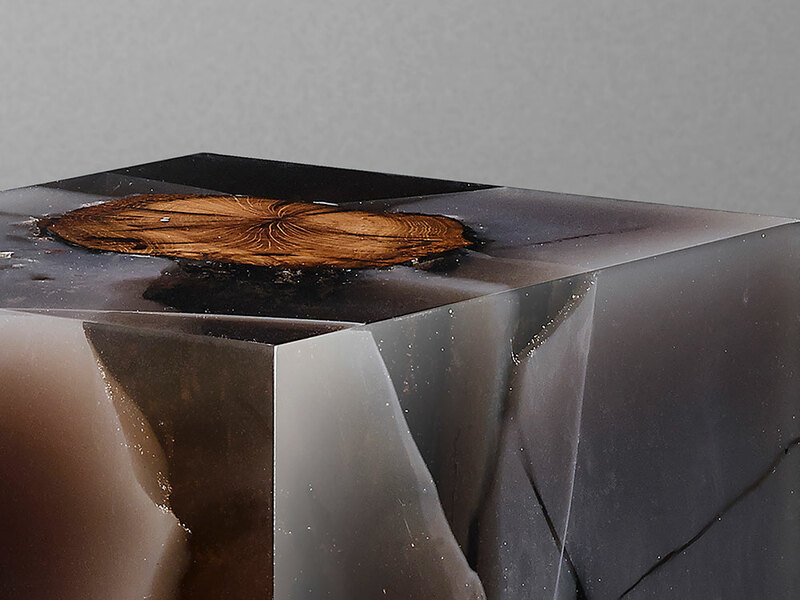 A log cut from a 200-year-old Italian oak tree is submerged in the liquid polymer with pigment added. 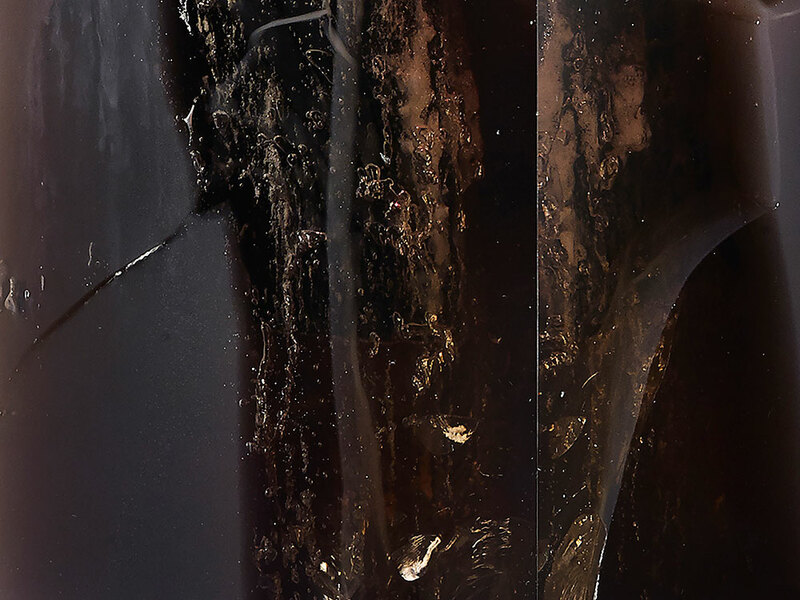 The reaction between the two parts of the resin components creates the cracks, imperfections, bubbles and ruptures as part of Nucleo’s pattern. 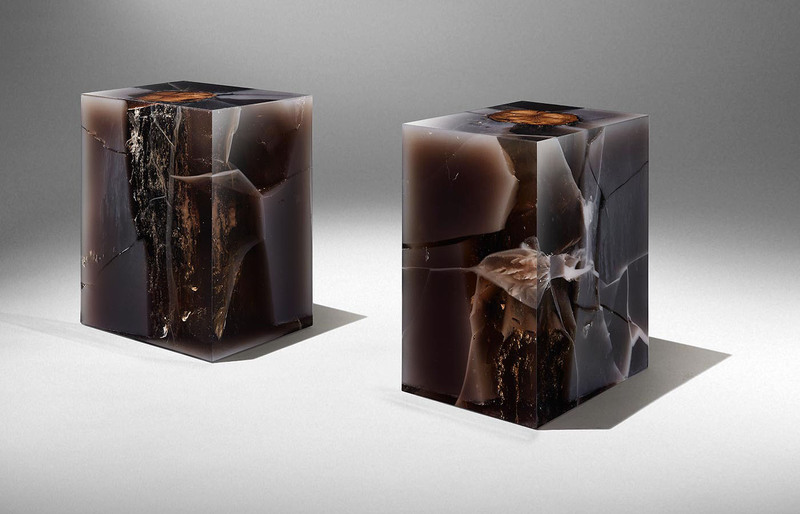 Stone Fossil are unique pieces and are exclusive for Ammann//Gallery.